No greater reference of wisdom is as accessible as the Proverbs. "Do you want to be a leader worth following, a father who is admired, a mother who is appreciated, a child who is pleasant, and a disciple of Jesus who is growing in grace? Are you looking to love the Lord and people with authentic actions? If so, then seek to know God’s heart on how to live life, which He beautifully lays out in the principles of Proverbs." Take the Proverbs Challenge. 31 chapters, 31 days, immeasurable impact. Use this book to interact with wisdom and apply it. Discover what others are saying. 100% of profits benefit Kingdom causes. Illumination Awards honor and recognize to the year’s best new titles written and published with a Christian worldview. There are 31 days in an average month. There are 31 chapters in Proverbs. Read the chapter in Proverbs that corresponds to the date. Repeat for each day of the year. This book is designed for interaction to read, mark, learn and inwardly digest the content of each page. Highlight or underline passages, and take notes in the blank space next to each verse. Each chapter ends with reflection questions designed to help you think through, remember and apply what the Lord teaches you along this journey. Since there are 31 chapters in Proverbs and 31 days in a typical month, start reading Chapter 1 on the first day of the month, then Chapter 2 on the second day, and so on. It's that simple! Proverbs is a great foundation to build a biblical knowledge base upon and will help you grow strong in your faith. As you grow in wisdom and knowledge through the content of this book, you will begin to see how other portions of Scripture fit perfectly together. You will want to read, reread and hopefully pass down this book to your kids and grandkids to bless them with your journey of faith, in written form, in the years ahead. A book of the Bible, highlighted and marked with your thoughts and heart inscribed onto each page, is a great gift to give to your children. Everybody wants and needs wisdom — from teachers to politicians, businessmen and women to baseball players. Let this desire for wisdom be an introduction to the Gospel message! This book offers wisdom that applies to all people while clearly presenting the Gospel. Give copies to business friends, relatives and colleagues. Start a small group to study it with friends on the fringe of faith, non-believers or others outside the church. Simply put... what Trog has put his efforts toward is wanted, needed and should become a handbook for Church discipleship of all ages. Memorizing these Scriptures from an early age will help secure our children on the narrow road that is becoming narrower and narrower everyday. As a pastor's wife for over 40 years, I have looked to no avail for something just like this for our congregations. Thank you Trog for your faithfulness to the Kingdom. When I finally decided to get serious about my relationship with Christ and Trog began discipling me, the first thing he recommended was reading a Proverb a day. In a culture that has doubts about the relevance of the Bible, one just has to look to the Proverbs to see that the wisdom of God absolutely stands today and will continue to stand forever. 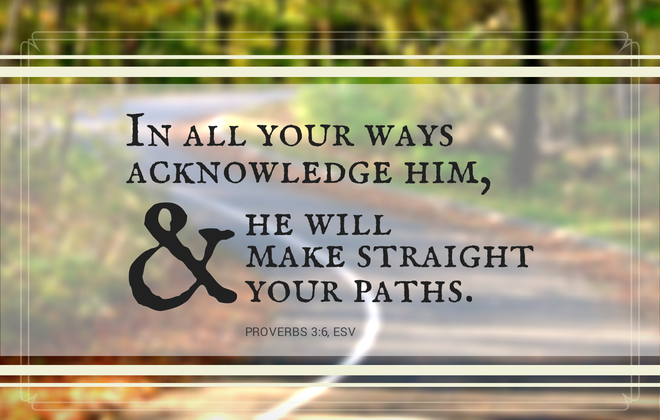 A Walk to Wisdom is a refreshing journey through the book of Proverbs. It asks thought provoking questions and has helped me to experience it in a new way. It is a great tool for anyone seeking wisdom and a deeper understanding of the book of Proverbs. I have found the book of Proverbs to be the single most influential guide for my life. 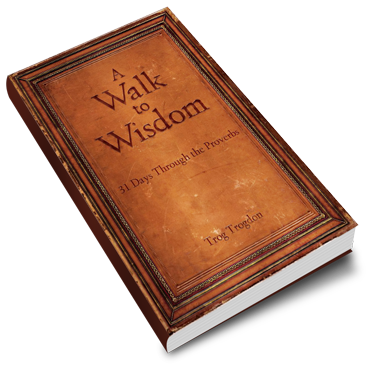 Through "A Walk to Wisdom," Trog has created an outstanding resource. One that is certain to inspire all who read it as they capture the most precious wisdom of the ages that is certain to impact lives! Trog Trogdon is a man who is walking wisely and changing Dallas for God’s glory. I’m thankful that he is challenging us through this new resource to read just one Proverb a day. A Walk to Wisdom is a profound and helpful challenge to seek and cry out for understanding from God. Trog's compilation of the Proverbs is a gem that allows the reader to engage the timeless truths of wisdom in an easy-to-follow, practical and transformative way. Simply a must-have, go-to book for those that want to be wise. The choices in our life determine our character and ultimately our destiny. This is why we need God's wisdom and this is why I love the book of Proverbs. If you desire to live a life that honors the Lord, there is no greater place to start than this book. The famous preacher Charles Spurgeon once said: ‘He that would be wise, let him read the Proverbs.’ If you would be wise then drink from this devotional on Proverbs. You will find it to be “a fountain of wisdom” and “a tree of life” for you and your family. I love the book of Proverbs. Growing up, my mom would always be sure that I had taken my vitamin in the morning: One-a-Day. The book of Proverbs is like that. In this edition, the reader can take in every one of the 915 verses in the book of Proverbs in its thirty-one manageable chapters. One-a-Day. Simple. But the wisdom and truth that comes along with a careful, steady reading of Proverbs will bring comfort, character, and strength. This new edition is a great gift to those of us who want God as extreme wisdom for our time. I plan to use it...and give many copies away. Many males are growing up without the presence and teaching of a father in their home. Want to be a better husband, father, and friend? Read and apply Proverbs to your life. It will help you grow into a Man that possesses Godly wisdom, Christian character, personal integrity, and practical understanding in what is right and fair. Wisdom according to the book of Proverbs, is a skill in the art of godly living. It is the application of the truth of the Word of God to every aspect of one's life. 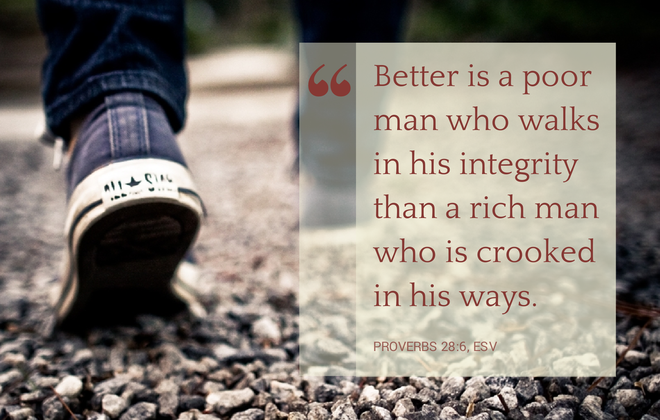 I love Proverbs and find myself going back to them almost daily. Any growth in wisdom is ultimately a growth in the fear of and love for the Lord. What could be better than this? At no other time have we been bombarded with so many messages and so much information that can either help us or hinder us. 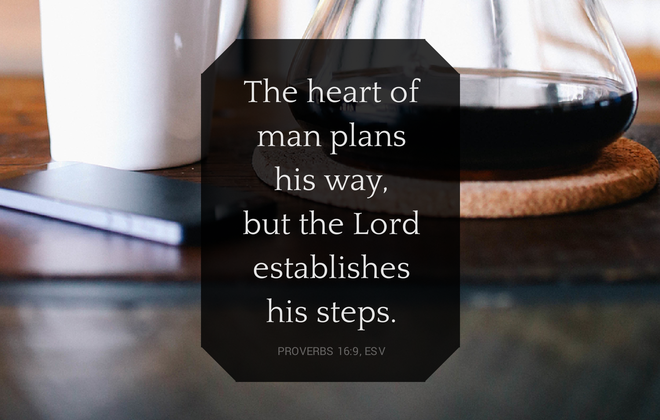 The book of Proverbs remains a solid source of wisdom that helps us as individuals, families, and followers of Christ seeking to fight injustice, love each other and not make as many foolish decisions in life. What a great resource to have the book of Proverbs in such an accessible form! Proverbs is a practical and yet powerful source of daily wisdom for every aspect of life, including relationships, business and parenting. Soak it in. Life's journey is filled with complex choices that require God's wisdom. Trog's 31 day challenge will assure you be wise and not a fool. 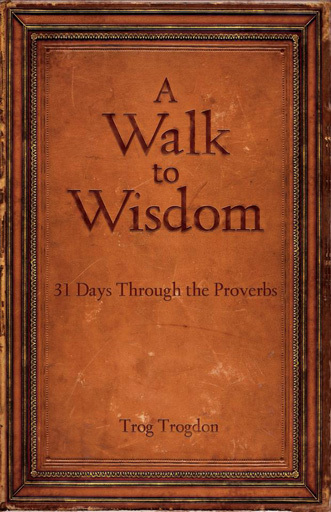 This book of Proverbs is all about getting on a path and living a life of wisdom. Whether you want to learn about managing money, relationships, or your mouth, this is a must read. Years ago, prior to entering full-time vocational ministry, I looked in vain for this very tool Trog produced. I wanted something, in addition to my Bible that I could lay on my desk specifically focused on Proverbs and wisdom. Now I have it. God generously gives us wisdom if we’ll just ask and pursue Him. I am excited that the Lord used him to produce this simple, yet profound tool to expose us daily to God’s infinite wisdom. 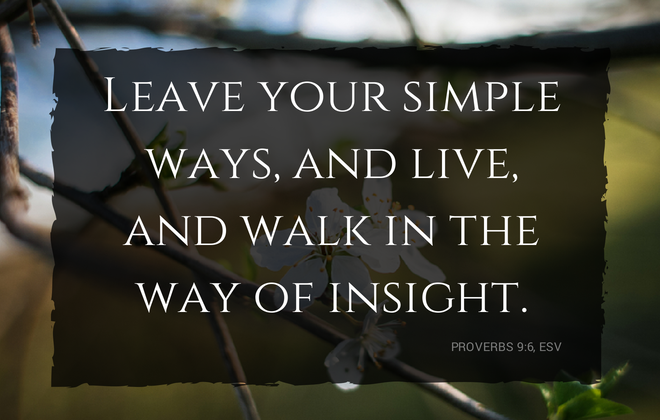 The wisdom and guiding principles that come from the book of Proverbs are so important to obtaining success in life that Proverbs is the first entire book in all of Scripture that I read to my three children. Our world is filled with more knowledge and college degrees than at any other time in history, but people are more confused than ever because the world is deficient of men and women grounded in Godly wisdom. If you want to discover more of God’s will and increase in wisdom, this resource on the book of Proverbs is an excellent place to start. Growing up on a dirt road in a small town in southwest Missouri gave Trog a love for nature and God’s creation at a young age. After graduating high school, he attended Campbell University in North Carolina where he earned his bachelor’s degree and master’s degree in Business Administration. After finishing his degrees, Trog came to Texas for a busi- ness opportunity, but the Lord had different plans. 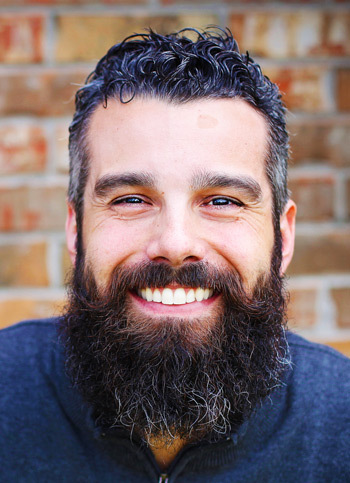 Over the past decade, he has served in multiple ministry endeavors, such as being a Cares Team with Apartment Life Ministries, helping plant a church in Frisco, and being a Discipleship Minister with Christ Church Plano. He now serves as an urban missionary in south Dallas as the VP of Bonton Farms where he invests his time in God’s creation, growing food and making disciples. Trog is married to a beautiful woman named Mendi and has three children, Sevyn, Rok, and Truth. If you get to spend time with him, you will often hear him talking about seeking first the Kingdom, losing your life in order to save it, and the importance of discipleship. He is passionate about helping the poor, feeding the hungry, and sharing his faith in Christ. We have some special quantity discounts for you. Stay up to date with the author! Visit Trog's blog at Kingdom Motivated. 100% of the profits from the sale of this book go to Kingdom causes. Bonton Farm-Works and H.I.S. Bridgebuilders benevolence fund have been chosen as the first two recipients of the funds generated from this resource. Bonton Farm-Works is an urban discipleship and farming initiative designed to restore health (both physically and spiritually) to a poverty stricken community in south Dallas. Bonton is a neighborhood located in the middle of a “food desert” where people are sick and even dying from the lack of healthy, affordable food. The work and prayer of this ministry is designed to bring hope and restoration to this wonderful community for the glory of God and the advancement of His Kingdom. H.I.S. BridgeBuilders is a movement of God uniting Christians across cities to restore urban communities through education, health, economic development, and spiritual development. The benevolence ministry of H.I.S. BridgeBuilders contributes to housing costs, utility bills, medical bills, food, clothing concerns, and more for people in times of need. © Trog Trogdon. All rights reserved.